Freshman Patrick Sheeley explains how music and theatre have shaped him. High school can be intimidating with a new school and new people. Most freshmen are hesitant to get involved at first, allowing nerves to get in the way of what they want. This is not the case for freshman Patrick Sheeley. Only a month into the school year, Sheeley is already auditioning for the school musical, “Mamma Mia” and starting basketball workouts. “Music, theatre and sports are just what I do and make me who I am,” Sheeley said. 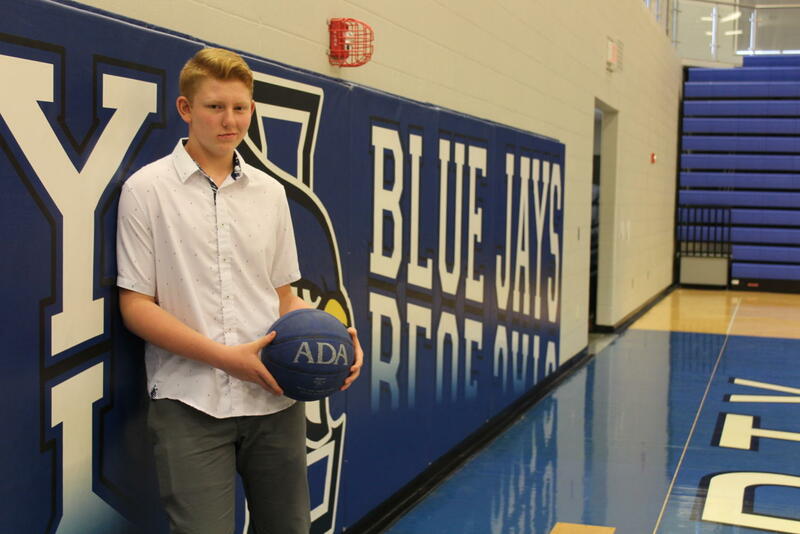 When Sheeley isn’t on a court or stage, he is spending time with his friends and family, who are all of great importance to him. They constantly support him in all of his great ambitions. He also enjoys singing and playing the piano at his church and in his freetime. “I think there’s a quote that says ‘when words fail, music speaks.’ It’s just a good way to relax. It’s fun, it’s nice after a busy day to just sit down at the piano and play,” Sheeley said. Although he is excited about what he has already found this year, Sheeley is ready for anything that comes his way and is excited for what this year will bring. “I kind of just plan to try to live life to the fullest this year and take every opportunity that pops up,” Sheeley said. Although he is just a freshman, between his height and red hair, Sheeley is hard to miss walking down the hallways. His friend, freshman Andrew Letsch urges students to not let his big demeanor intimidate them. Sheeley’s middle school teacher and role model Ali Neibling agrees.